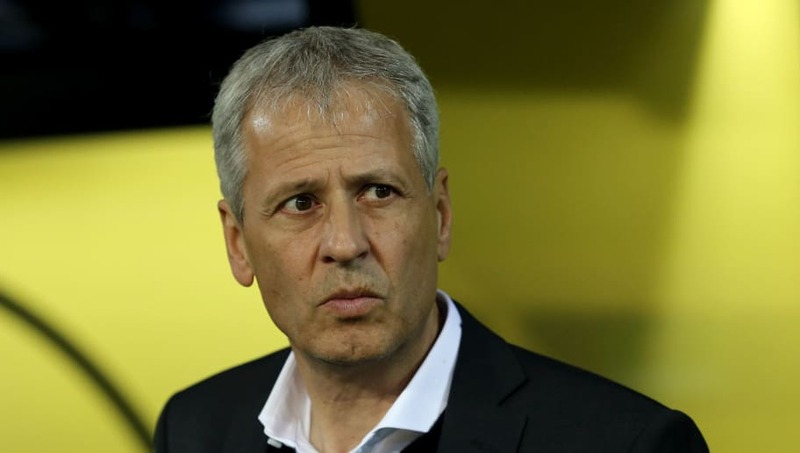 Borussia Dortmund manager Lucien Favre was left to rue his side's lack of control and composure after succumbing to a 2-0 defeat away against Atletico Madrid in the Champions League. Goals from Saul and Antoine Griezmann helped Diego Simeone's side to a comfortable victory at the Wanda Metropolitano stadium, and Favre criticised his team's response after conceding the opening goal. Speaking to the ​official club website after the game, he said: "We lost the ball too often, and they were really quick to counter. We found ourselves in several dangerous situations. "In games like this, you have to play with patience, you can't go giving the ball away unnecessarily and you absolutely have to avoid giving the other team counter-attacking opportunities." Very tough game tonight, not the result we wanted! We move on to Saturday with another big game ahead! Favre though was quick to admit ​Atletico's superiority in the game and said: "Atletico were really, really good in defence and were very dangerous whenever they won the ball back. "They were really tight and compact. We failed to find those between the lines." Whilst ​Dortmund fell to defeat, both the German side and Atletico are locked at nine points apiece at the top of their Champions League group and look favourites to progress, particularly after Club Brugge's stunning victory away at Monaco. FULL TIME | First loss for #BVB. Still on top of Group A. With a huge clash against ​Bayern Munich in the ​Bundesliga to come for Dortmund on Saturday, Favre remained philosophical after the defeat and insisted his team should not dwell on it for too long. He added: "Today ended in a defeat, it can happen; at the end of the day it's just a game of football.